The U.S. House of Representatives and U.S. Senate have introduced separate bills to require the systematic review of minority veterans who served in World War I. Park University has been the driving force behind the bipartisan bills introduced in Congress on April 10 (H.R.2249) and April 11 (S.1218). In celebration of the leadership achievements of Park University students, faculty and staff during the 2018-19 academic year, the Office of Student Life and the Park Student Government Association co-hosted the 24th annual Dr. Doris A. Howell Leadership Awards on April 18 on the University’s Parkville Campus. Park University, which has a unique connection to the Titanic, is hosting a special exhibit in the University’s Frances Fishburn Archives and Special Collections space. The exhibit, on display through Friday, May 31, includes items related to the Titanic and the time period, as well as pictures of two Park alumni who, along with their 10-month-old child, survived the ship’s sinking off the coast of Newfoundland on April 15, 1912. 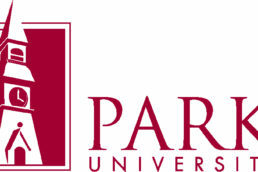 Park University students have elected their representatives — executive board and senators — for the 2019-20 Park Student Government Association. 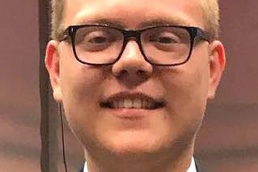 Christian Leonard, a senior mathematics major, was elected president. 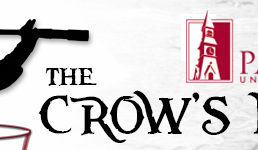 The Crow’s Nest newsletter, April 12, 2019, edition. On Monday, May 6, the final film in Park University’s Year of Engagement Documentary Series, “G.I. Jews: Jewish Americans in World War II,” will be shown at 6 p.m. in the Jenkin and Barbara David Theater within Alumni Hall on the University’s Parkville Campus. Admission is free, but attendees are requested to RSVP at park.edu/gijews or call (816) 584-6214. This documentary screening is being held in conjunction with Jewish American Heritage Month. 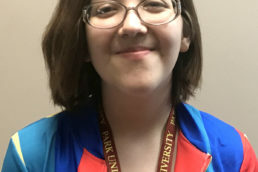 Hailey Raw, a Park University sophomore majoring in U.S. history, brought home a pair of first place awards from the Public Communication Speech and Debate League Nationals, held April 6-7 in Indianapolis. Night at the Helm, Park University’s annual fundraising event that benefits selected University programs, will be held on Wednesday, June 12, at the National World War I Museum and Memorial in Kansas City, Mo., starting at 6 p.m. The community is invited to attend this celebration as the University charts the course for leadership in the military and business. 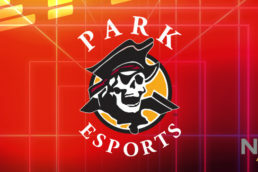 Park University and KCGameOn are partnering to host a gaming event at the University’s Parkville Campus on Saturday, April 13. The event, which runs from noon until 3 a.m. (Sunday, April 14), will be held in the University’s Academic Plaza, located within Park’s academic underground. The Crow’s Nest for March 22, 2019.